Origin : 100 % Grande Champagne, Mery Melrose organic certified grapes, distilled, aged and blended by François Méry. 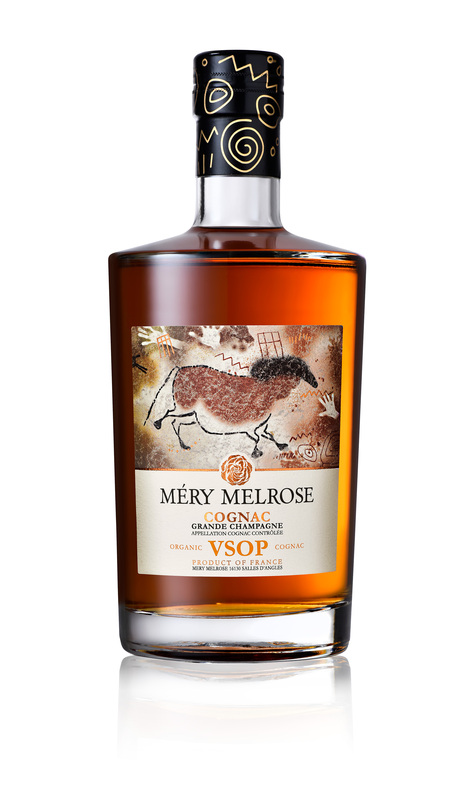 Méry Melrose Organic VSOP Cognac is a generous beauty, elegant with a winning character. This Cognac has spent at least four and a half years aging in a combination of new and used French oak casks. A burnished gold color hints at the lush aromas and flavors to come from this spirit. On the nose, the longer aging is immediately evident with notes of cinnamon, vanilla, and honey, but the wood is balanced with a still-lively expression of fruit. The scent of dried apricots and figs mingles with rose petals and pain d’episces. The first sip saturates the palate with a soft, silky robe of warm spices and tropical fruits, with notes of brown sugar and persimmon emerging with successive sips. The long, fruity finish ends with a gentle sweetness reminiscent of ripe grapes. Pairing : VSOP Cognac serves well with fois gras, pigeon or duck. Enjoy our VSOP neat, over ice or in a cocktail.